You want nutritious, they want delicious, we want both! Surrounded by their friends, our campers dine on food you would want on your tables at home. 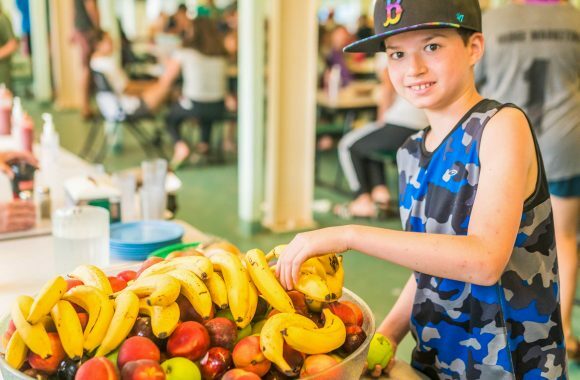 Our expert chefs and bakers create gourmet menus that encourage our campers to try new foods. At camp we stay on top of the latest food trends to ensure that our campers are as excited to eat the food as we are to create it. From theme meals to steak dinners our goal is that our campers walk away talking about how great the meals are.. In addition to our family style main course, camp offers a Salad Bar with a great selection of vegetables plus tuna salad and different salad toppings – over 20 items each day. Everyone is invited to partake in the Pasta Bar too. If you’re vegetarian or have a food allergy, you are in luck. Our special menus are as delicious as our regular foods. And if the weather turns a little chilly, don’t be surprised to find hot chocolate at breakfast and soup at lunch. Proof that “summer camp” isn’t just for kids! We had an amazing time at Camp Yavneh – the facilities are great, cabins have been updated and are comfortable and the food was amazing! I never left a meal unsatisfied! Great organization to work with! The question we most often hear from parents of new campers is, “What if my child doesn’t like the food?” The answer is, “Tell us”. In addition to the entree of every lunch and dinner, there are always many alternatives at the salad bar and pasta bar. Nutritionally sound foods are the backbone of each menu. We use low-fat, high protein ingredients and have options available for special needs diets. Vegetarians enjoy the daily veggie bar. We are parents too. We look at the nutritional labels and work hard to reduce our use of trans fat, high fructose corn syrup, MSG and bleached flours. 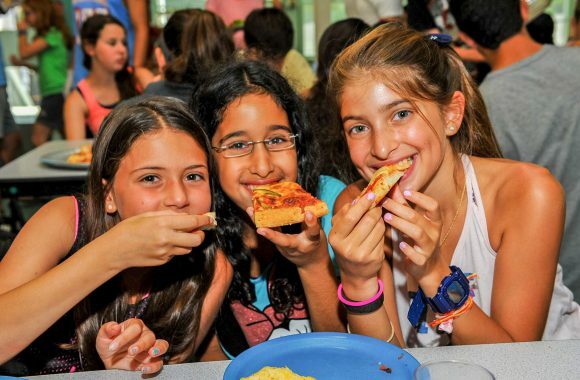 All food at Camp Yavneh is strictly kosher, overseen by a full-time mashgiach. The kitchen staff is extensively trained on the laws of kashrut and food safety. Also available every morning – Fresh vegetables, hard-boiled eggs, cottage cheese, cream cheese, butter, sliced cheese, yogurt, fresh fruits, cereal, milk, orange juice, hot beverages, and oatmeal with variety of toppings. Fish patties, buns, tartar sauce, and French fries.